You’ve probably heard the rhyme, leaves of 3, let them be! It’s that time of year when kids are playing outdoors more, putting them at greater risk for catching the poison ivy rash. Typically, the rash looks like lines or streaks on the skin, which becomes red, itchy and swollen with blisters that ooze clear fluid. After a few days, the blisters may become crusty and start to flake off. It can take 1 to 2 weeks to heal. Contrary to popular belief, the rash cannot be spread from person to person. The fluid in the blisters is not contagious. Spreading occurs when small amounts of the oil remain under a child’s fingernails or on her clothing that then comes into contact with other parts of her body. The best defense against poison ivy is to avoid it altogether. Poison ivy can grow anywhere — from the woods to suburban backyards — and it can be difficult to identify. Not only can the green leaves of poison plants blend right in with other plants and brush, but there are several types of poison ivy, and each one can look different depending on the time of year. Worse yet, kids can pick it up without even touching the plant. Anything that comes into contact with the plant, such as a ball or pet, can spread it. Urushiol can even travel through the air if someone burns the plants. Dr. Jinks offers 5 ways to protect your kids from getting a poison ivy rash this summer. Teach your kids how to identify poison ivy, oak and sumac, so they can steer clear of them (especially if the plant’s leaves look shiny). Ask them to avoid areas where you know the poisonous plant is lurking. Give your dog a bath to wash off any urushiol oil that may be on his coat after exploring the woods. If your children do come into contact with the poisonous plant, have them try to wash it off their skin right away by taking a shower and using lots of soap. Have your kids wear long sleeves and long pants when playing in areas where poison ivy might grow for extra precaution. Then, wash the clothes immediately with soap and water. The good news is mild rashes can be treated at home, and mostly cause discomfort from itching, burning or blistering. 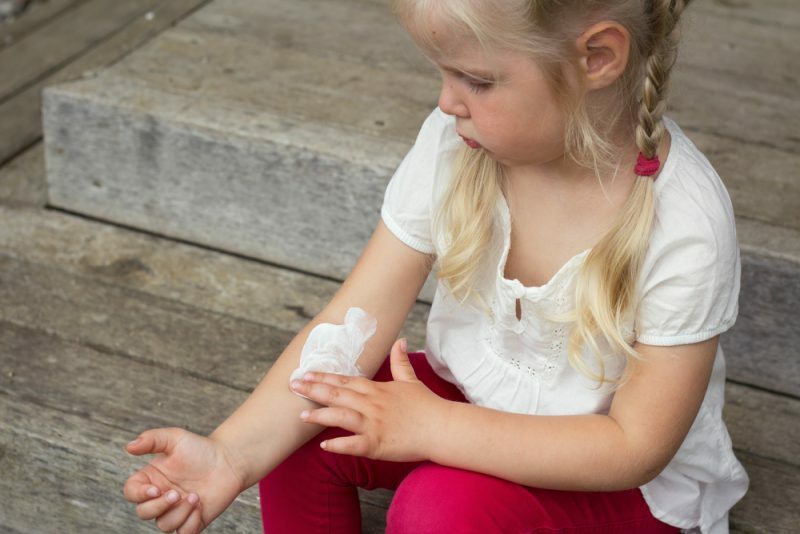 Dr. Jinks offers 5 ways to help ease your child’s discomfort and treat a mild poison ivy rash. Apply calamine lotion 3 or 4 times a day to ease the itching. Apply topical 1 percent hydrocortisone cream to decrease the inflammation. Trim your child’s fingernails to discourage scratching and prevent her from breaking the skin when doing so. Draw a cool bath or oatmeal bath to soothe her skin. Applying cold compresses also may help. Try an oral antihistamine to reduce the itching at night if your child is having trouble sleeping. 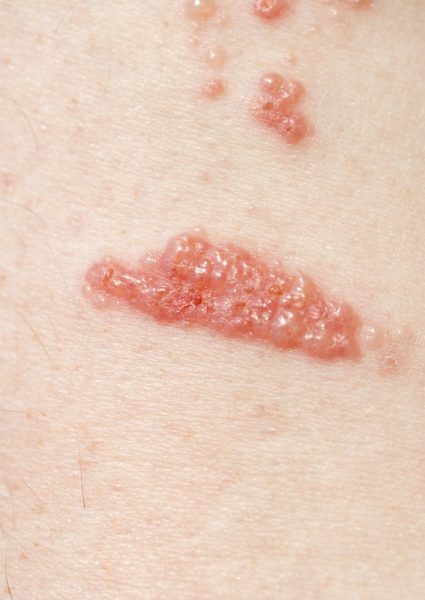 Severe, widespread rashes require medical treatment. If the rash is extensive on the face or covers a large portion of the body, your child’s pediatrician may prescribe pills or creams that contain antihistamines or steroids to decrease itching and redness.